20, 30 or 40 litre capacity spill kits suitable for oil or fuel spills. Kits are supplied in a handy clip top bag. Fuel and oil spills can be extremely harmful and incredibly dangerous, and should be cleaned up both quickly and properly. 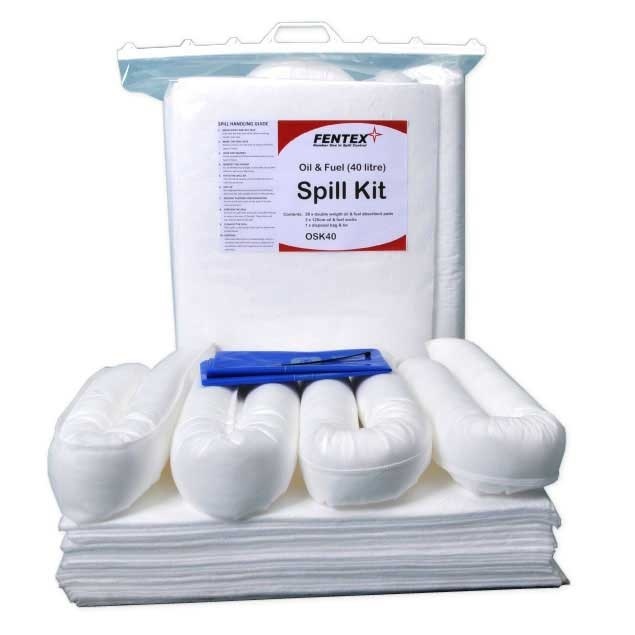 Liquids such as fuel and oil that have been spilt can make the floor very slippery, and this can lead to serious accidents. 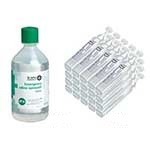 They are also liquids that can catch fire very easily; a small spark can lead to a disastrous event causing both serious injury and a large financial loss. 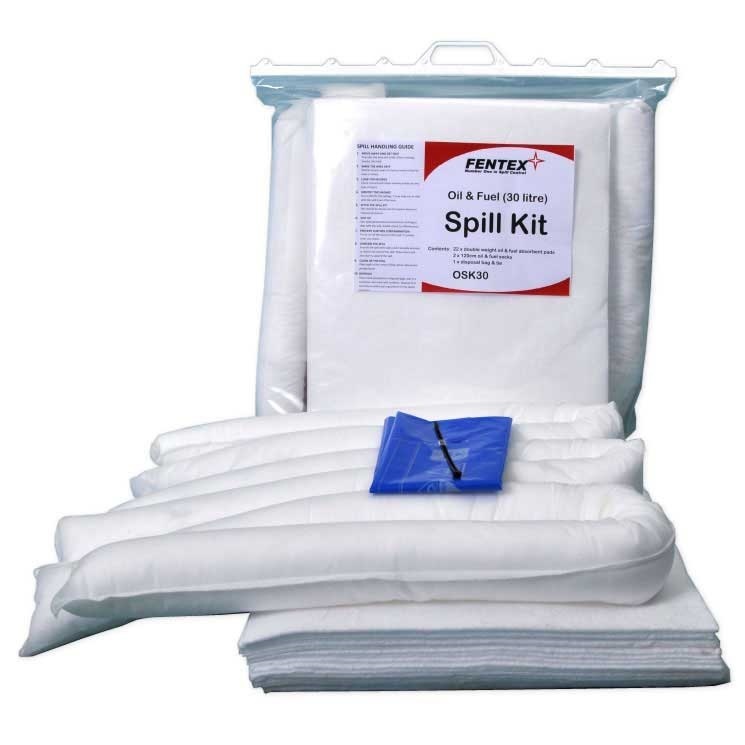 No company wants to have to deal with a fire, and that is why these Oil and Fuel Spill Kits work to prevent such dangerous incidents from happening. 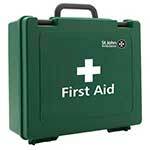 The kits are made in the UK, and are incredibly effective tools. 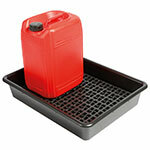 They are great for companies that have facilities where an oil or fuel spill could occur. The place with the highest risk of this type of incident occurring is the petrol pump, and it is here where the purchase of an oil and fuel spill kit should be high on the list of priorities. 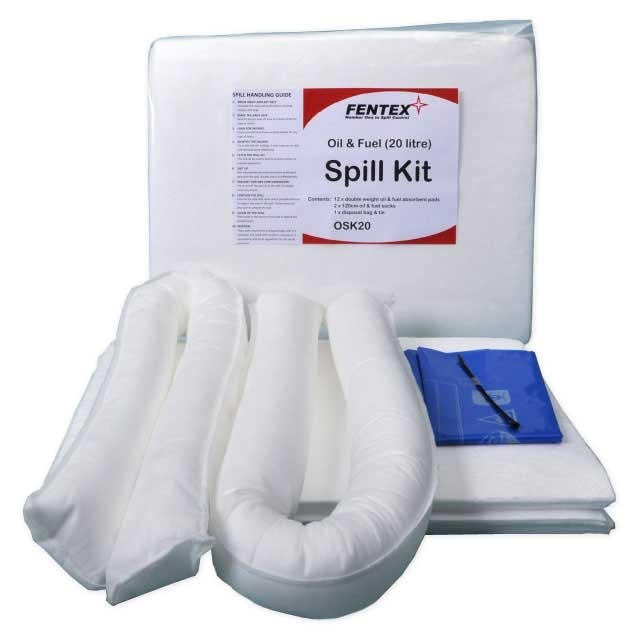 The Oil and Fuel Spill Kits come with a helpful Spill Handling Guide, offering advice on how to deal with the spill efficiently. 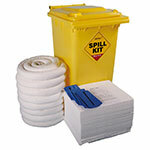 All of the Spill Kits are supplied in a clip top bag, allowing for easy storage.